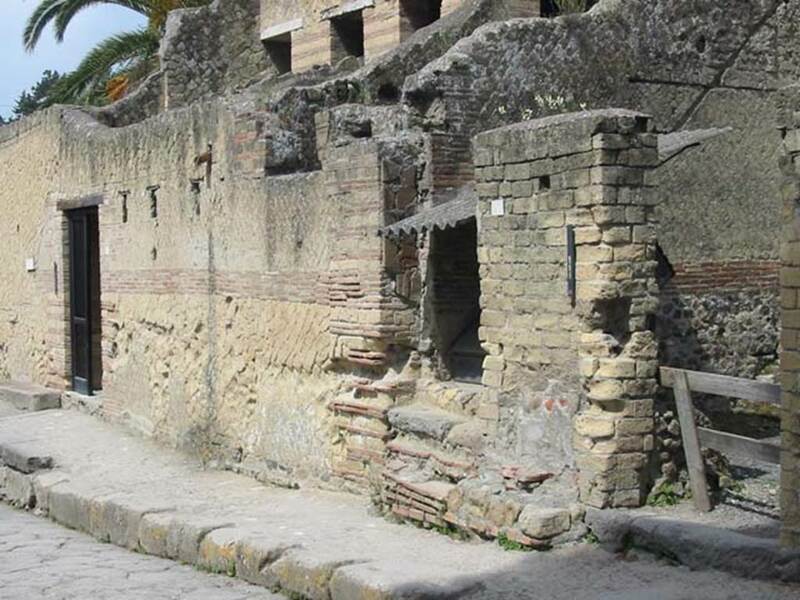 Herculaneum IV.20. 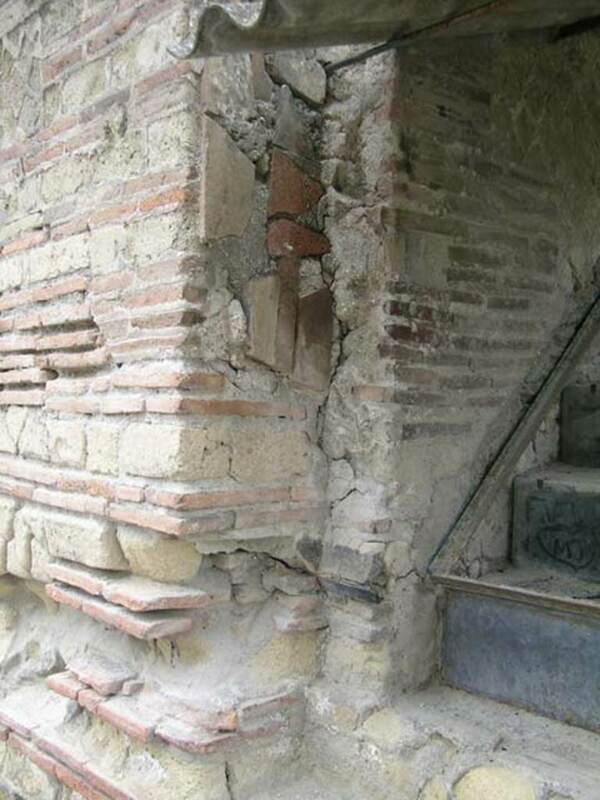 Steps of carbonised wood to upper floor above IV.19. 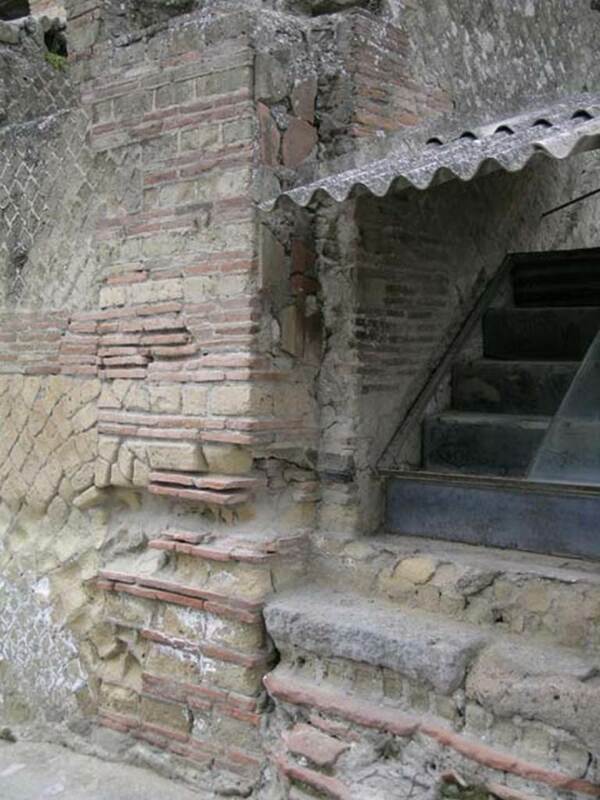 IV.20, Herculaneum, May 2003. Looking south-west on Cardo V. Inferiore. Photo courtesy of Nicolas Monteix. 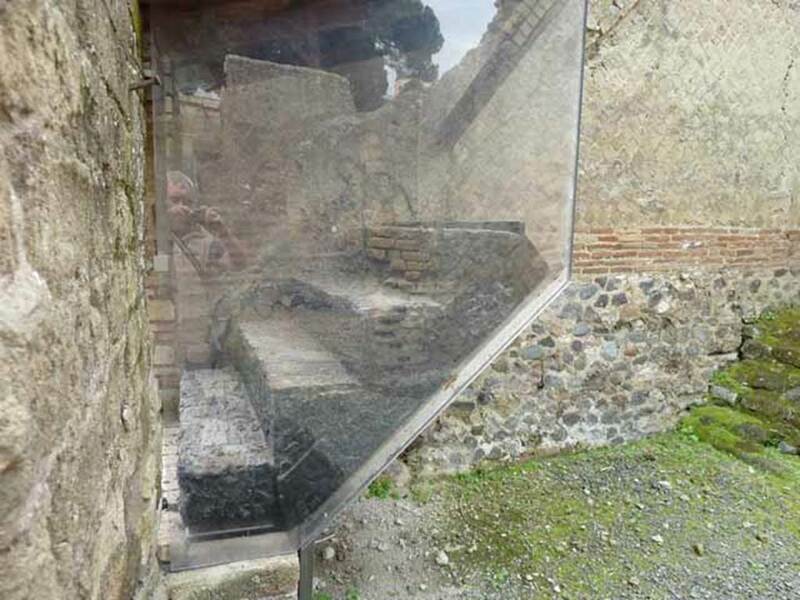 IV.20 Herculaneum. August 2013. 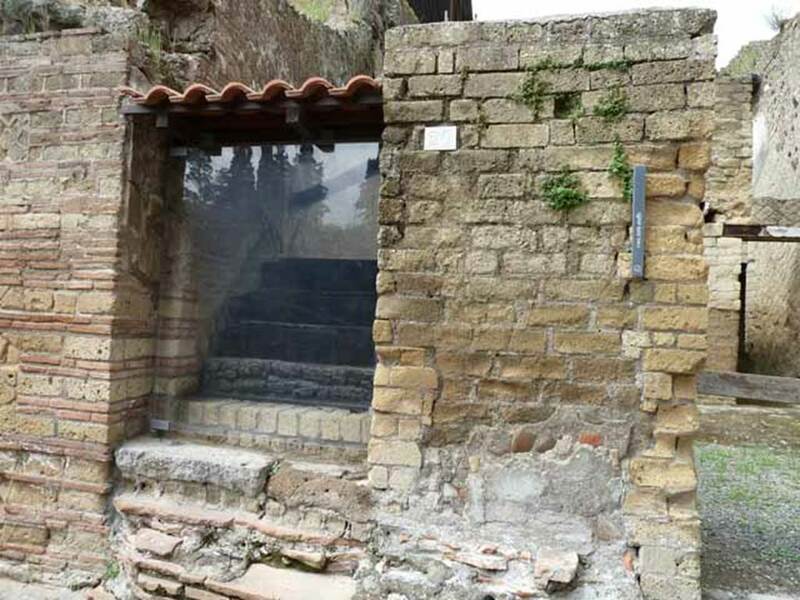 Entrance doorway on west side of Cardo V Inferiore. 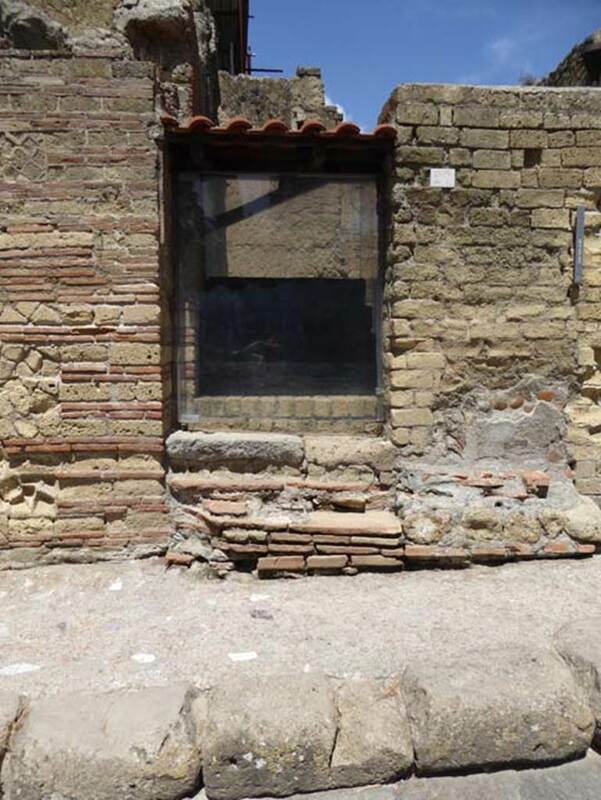 IV.20 Herculaneum, September 2015. 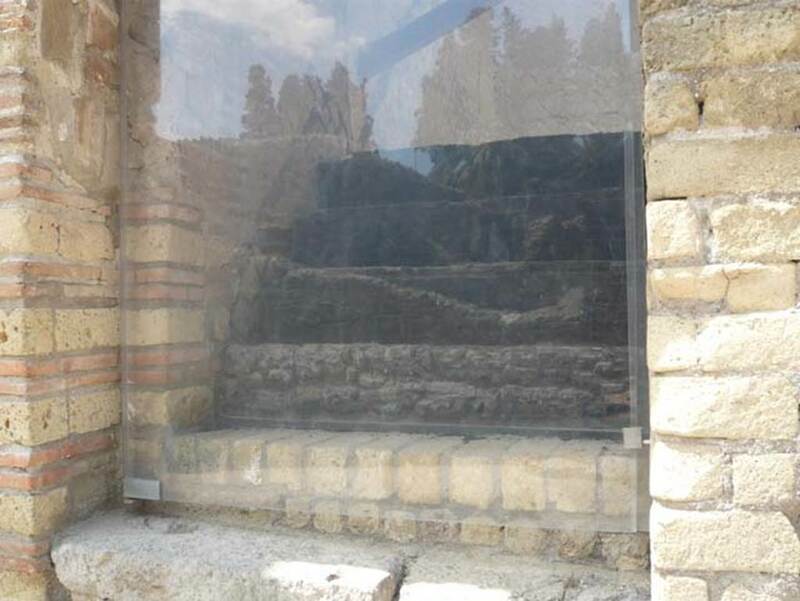 Looking west to entrance doorway to steps of carbonised wood, protected by glass. 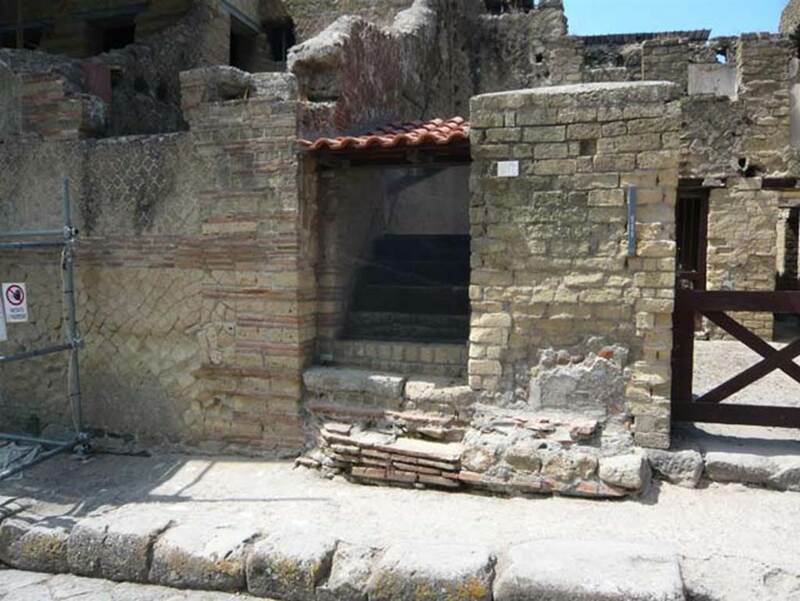 IV.20, Herculaneum, May 2010. Looking west to steps to upper floor. 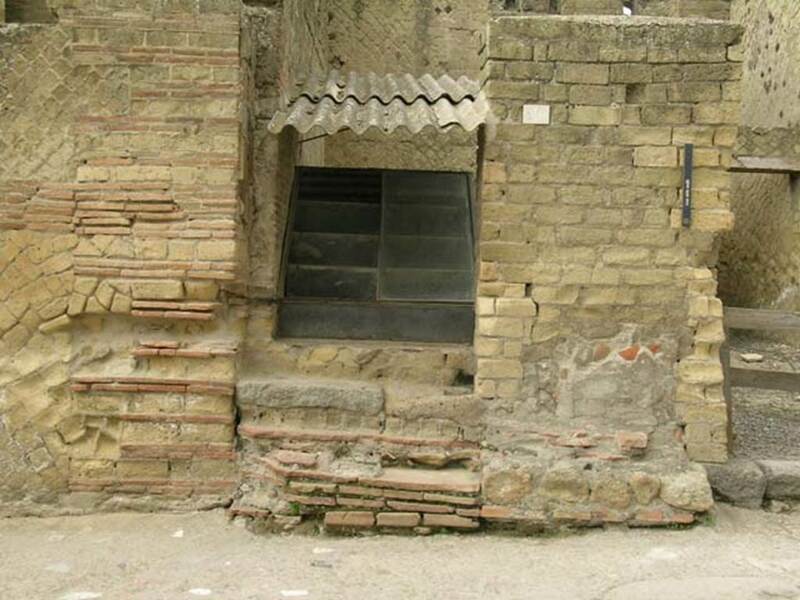 IV.20, Herculaneum, June 2005. Looking west to front façade with steps. Photo courtesy of Nicolas Monteix. IV.20 Herculaneum, May 2001. Looking west to steps to upper floor. IV.20 Herculaneum, May 2005. Detail from south side of wall of steps to upper floor. 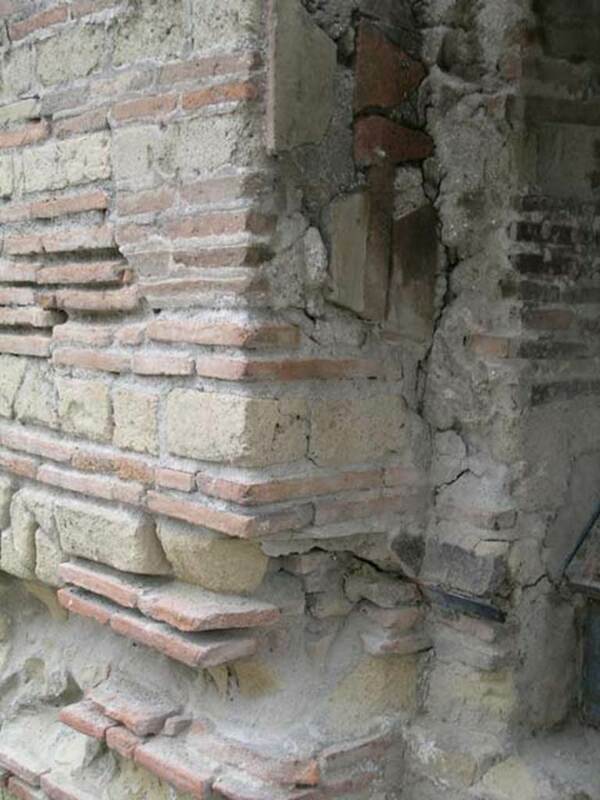 IV.20 Herculaneum. August 2013. Steps to upper floor with remains of carbonised wood. 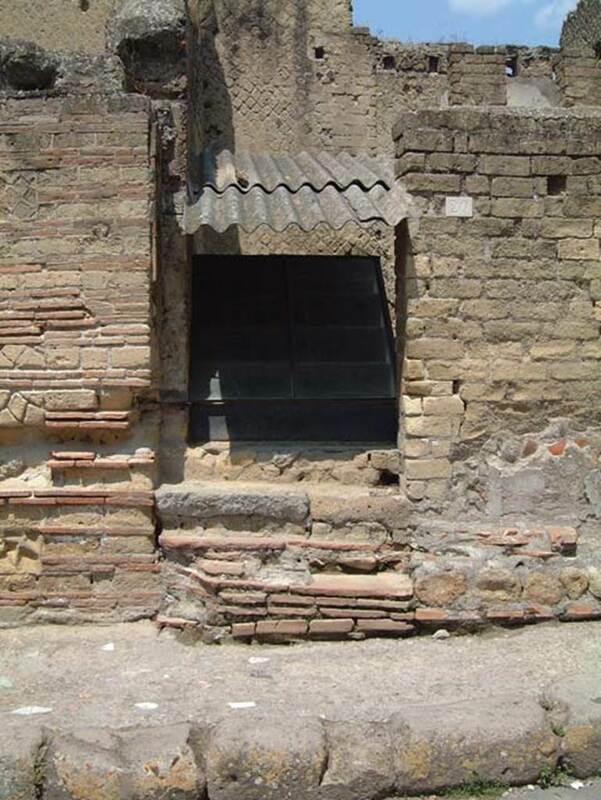 IV.20 Herculaneum. May 2010. Staircase, looking south from IV.19.